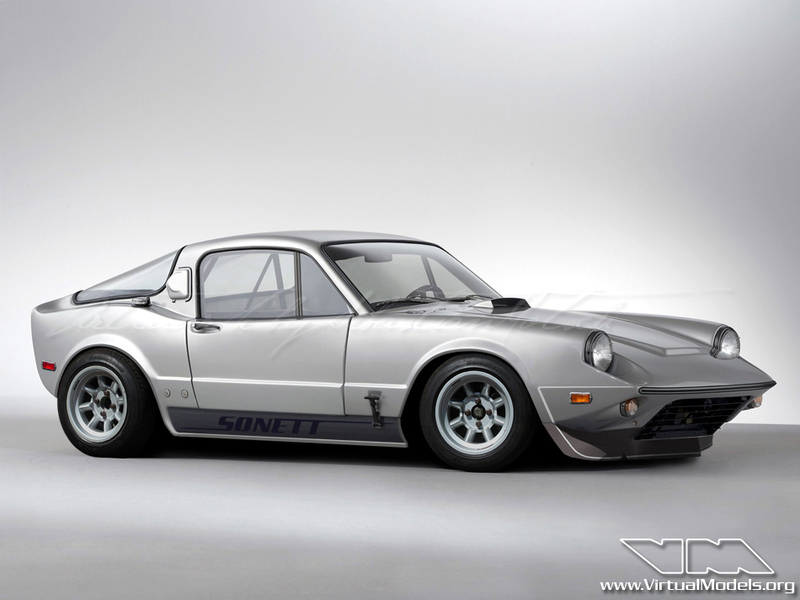 The SAAB Sonett was a nifty little sportscar. Originally fitted with a 1500cc Ford Taunus V4 engine it had enough power to be a fun runabout. Still… not enough to have serious fun with the little bugger. I wondered what a club racing version of the Mk2 Sonett could have looked like. Lowered, of course, with wider wheels and meatier tires and a few aerodynamic tweaks. Because there isn’t much space in the engine compartment, a V6 engine wasn’t an option. Hence I opted for a turbocharger. Now, which version would you prefer? Stock or Club Racer? The second thing I have in mind is making a mould of the car, making a modificated lightweight version (composite) with a more modern chassis and a saab 16v turbo mid-engine. Car is to be wider but still to have the Sonnet II shape. Is this something for you Mr. Motsch? love your plan, sounds like a great idea. I’d love to see the finished result and some pictures of the building process.